For many punters, Betfair is the most recognisable brand in the betting world today. You can - pretty much - bet on anything which makes it one of the more popular sports betting websites around, but the growth in Betfair trading has been quite amazing to witness (and be a part of since 2011 with Goal Profits). If you have done any matched betting then you will almost certainly have a Betfair account in your name already. The Betfair Sportsbook and Exchange is an essential tool for those taking advantage of betting site offers, but what about when the generous bookie bonuses and free bets run out? Whereas many of us used to dream about the possibility of professional football betting, these days it's Betfair trading which is the ultimate goal. Lay betting has transformed the lives of many and it's the ability to trade both sides of the book which makes Betfair one of the best betting sites online. In this article, I will explain more about Betfair - the best betting exchange - and how you can get started with football trading yourself. People have been wagering money on the outcome of events for thousands of years. Betting on sports was prevalent in Ancient Greece back in 500 BC, despite opposition from many revered philosophers who felt that wagering would bring about the downfall of their great nation. Likewise, the Minoan Civilization, around some 5000 years ago, are thought to have favoured a game similar to poker. While these practices were somewhat crude and disorganised, betting still managed to find its way into modern culture. The 1845 Gaming Act was the first step towards legal, regulated gambling in the UK, as it allowed bookmakers to operate within race tracks, before betting shops were eventually legalised more than 100 years later. The government felt that allowing bookmakers to operate as legitimate business enterprises would help to weed out dishonest and fraudulent practices. The change worked, as the world of gambling has since evolved into a huge industry, which yields more than £12.5 billion a year in the UK alone. At one stage there were more than 15,000 betting shops across the UK, before a study conducted in 2001 revealed there to be a huge potential customer base that the industry had yet to tap into - online users. The revelation would prompt the betting industry’s first major revolution, as bookmakers turned their attention away from brick and mortar stores and began to push out internet based software which allowed people to place wagers from the comfort of their own home. Betting shops were widespread in the prior to the move online, peaking at 15,000 shops across the UK. Online bookmakers have since taken centre stage, with 29% of all gambling-related expenses coming via the internet. However, with online bet placing now the norm, bookies are continuing to exploring innovative ways to capture their share of the lucrative industry. Betfair are at the forefront of betting innovation, as they continue to steam ahead as the world’s largest online betting exchange, with more than four million registered customers and a turnover of more than £50 million every week. The company is now one of the most well known companies in the betting sphere, but what is Betfair and what sets it apart from the rest? Betfair is classified as a ‘betting exchange’, whereby punters can bet on the outcome of a particular event, much like they would through a traditional bookmaker. However, there is one big difference between Betfair and their traditional rivals - users do not bet against a bookie, but against each other. While it may not sound like such a big deal, there are plenty of perks that come with betting via an exchange. Aside from backing an outcome, as you would via the likes of Ladbrokes or William Hill, betting exchanges, such as Betfair, also allow users to ‘lay’ against an outcome, or bet against it, offering lots of alternatives to your usual betting markets, strategies and selections. Again, it may not sound like much, but when you consider the way that bookmakers operate in order to guarantee their survival, it is easy to see why Betfair is the better option. Traditional bookmakers set their odds to ensure that they will, the vast majority of the time, earn a profit no matter what the outcome of the event. Let's say, for example, that Manchester United face Arsenal and there is a 50/50 chance that either side will win. Person A bets £10 on Manchester United to win and person B bets £10 on Arsenal to win. Betting against each other, their odds would be 1/1 (2.00), meaning the eventual winner would receive their £10 wager back, plus the £10 that their opponent had wagered. Although, add a bookmaker to the equation and the profits are reduced. Bookies act as a middleman between these two parties and adjusts the odds to ensure that they receive a portion of the winnings. Say the bookmaker adjusts the odds on each team to 4/5 (1.80) - the winner would receive just £8 profit, while the other £2 from the losing wager would go into the bookmakers’ pocket. However, Betfair removes the middleman from the equation, which means that customers receive significantly better odds on their wagers. According to Betfair, these increases can be as much as 20% on their rivals. Of course, such a large company needs to earn to stay afloat, so users are charged a small commission of 5% on winning bets, which can decrease or increase depending on how much you bet on the exchange and how much you’re winning. Likewise, while many bookmakers will close your account should you find a winning formula (in order to maintain the balance and ensure their own profits), as Betfair takes a backseat in the process, users do not run the risk of a ban when things are going their way. So Betfair offers better odds, a bigger betting selection and an overall better service, but how exactly did it grow into one of the biggest betting websites in the world? Surprisingly, Betfair was founded before the industry began to move online. The company is the brainchild of British entrepreneur Andrew Black, grandchild of former politician Sir Cyril Black, who himself campaigned for stricter gambling laws. Black has proved himself to be a wild card, given that he made little effort at school and was viewed as a ‘rebel’ by his classmates and teachers. However, Black excelled at maths, which would eventually lead him onto a Computer Science course at Exeter University, despite his seeming reluctance to learn. However, his time as a student would be short-lived, as he was removed from the course ahead of his second year, as he had been skipping lectures in favour of spending time at the bookies. Black moved back home to look after his sick brother and soon turned to gambling full-time to earn himself a living. Despite undertaking a string of jobs along the way, Black earned much of his money through the bookies. However, his earnings were up and down, and he soon realised that he would be unable to support him and his family financially through betting alone and decided to set up a software business, which would eventually lead to the creation of Betfair. However, despite focusing on his business, Black began playing bridge in his spare time. 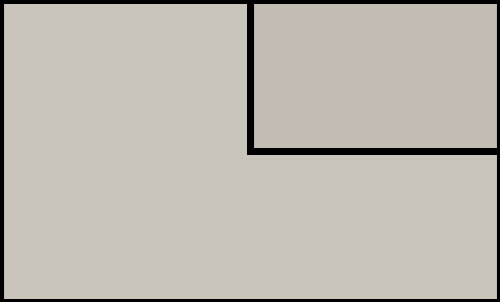 It was through this that he met Edward Wray, an investment banker, who would soon become his business partner. Black had spent much of his £50,000 savings developing a prototype known as the ‘Sporting Exchange’, which allowed customers to propose a wager, which others could then accept, or ‘lay’ against, meaning that the odds on an outcome were altered solely by market forces. This was enough to impress Wray, but together they struggled to find investment, possibly due to the fact that online gambling had yet to really take off. However, they eventually turned to friends and family, clawing together more than £1 million to develop and launch their product in June 2000. 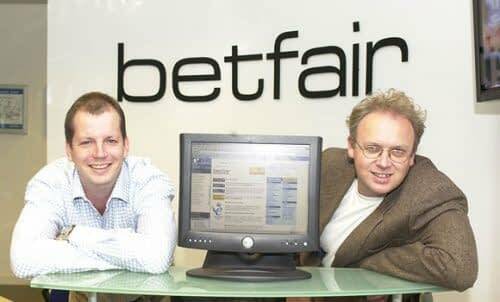 Andre Black and Edward Wray founded Betfair back in 2000. By that point, an incredible amount of time and resources had gone into Betfair, but a successful launch proved that it was all worth it. Despite only attracting a handful of customers, more than £35,000 was wagered in the exchange’s first week of existence. There was still a long way to go, but Betfair had established the plausibility of a system that could rival, or beat, the bookmakers. Betfair weren’t alone in the betting exchange market. Just weeks before the platform was opened, rival exchange Flutter opened its doors. The two services quickly raced to the forefront, taking the vast majority of the betting exchange customer base over the next few years. However, Flutter posed a massive threat to Betfair’s future - while it had been second best for a long while, by late 2001 it had emerged as the favoured service due to its streamlined interface, while Betfair was viewed as clunky by comparison. Betfair was still the biggest exchange service, but Flutter’s market share had risen from 4% to 30% throughout 2002. Seemingly worried and keen to recapture the market, Black and Wray decided to buy out their rivals, before merging the two companies and shutting down the Flutter services in January 2002. The move meant that Betfair controlled an incredible 98% of the betting exchange market. Betfair came under criticism for attempting to crush their competition, rather than working to prove a better service. However, those at the top clearly felt that Betfair deserved to be where it was, as the company was awarded the 2003 Queen’s Award for Enterprise, an award given to British companies based on innovation, international trade and sustainable development. By that point, Betfair had launched their in-play betting services and a year later they began to expand their operations even further, unveiling a new online poker website to rival the many services that were beginning to appear. Likewise, their exposure had greatly increased and the money that the company was generating was being reinvested into deals with the likes of football club Fulham FC and the Grand National. Betfair had blossomed into a big earner, but it wasn’t until 2006 that shareholders saw their first huge return on their investment, as it was announced that Japanese internet company SoftBank Group had purchased a 23% stake in the betting exchange, which was by that point valued at a massive £1.5 billion. 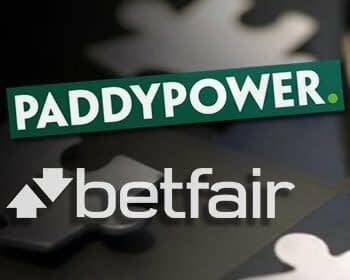 In 2015 it was announced that Betfair had been acquired by fellow industry highflyers Paddy Power, with the two companies agreeing to a merger deal which saw 52% of ownership go to Paddy Power shareholders, while the remaining 48% went to the Betfair shareholders, forming the Paddy Power Betfair group. This was a huge boost to the Betfair Sportsbook service, a traditional betting platform to rival the likes of William Hill, Coral and Ladbrokes. 2015 saw Betfair merge with bookmakers Paddy Power. The exchange is still the main product in Betfair’s arsenal, with more than 30 sports available for users to back and lay on, from horseracing to ESports. Each sport is then broken down into various different markets. Football has numerous markets, including everything from goalscorers to goals scored to the timing of a goal, for example. With each sport having various markets to wager on, there is something for every sports fan on the Betfair exchange. However, users aren’t limited to the exchange. Betfair is known for innovating betting but they haven’t shied away from the industry’s past. There are numerous football pools run each week, with potential jackpots of up to £10,000,000. Betfair’s other purchases include the likes of Timeform, a horseracing publishing company, and the TVG Network, an American based horseracing television channel. They have also introduced the Timeform Radio services, which broadcasts horseracing results and commentary, as well as many other betting services. For those that prefer a game of cards, roulette or casino slots there are a number of different options available on the Betfair casino, each with differing wager amounts and potential jackpots. There is also a live casino where you can play games such as roulette and blackjack in real time, as well as online poker rooms. Betfair’s latest addition is its virtual sports service, where users can bet on virtual events throughout the day. With virtual horseracing, virtual football, virtual greyhound racing, virtual motor racing and virtual cycling to choose from, users are no longer limited by event times and breaks in action - betting is possible at any time or date. With such a wide range of services, games and events available to its users, it comes as little surprise that Betfair remains at the forefront of the betting market. However, the exchange is what sets Betfair apart from others - it’s a small, simple difference, yet its benefits are huge and will undoubtedly continue to pull customers away from the traditional bookmakers for years to come. There are countless Betfair football trading strategies. 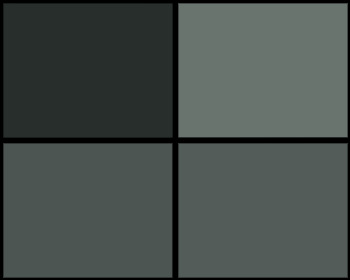 Some are easy to use and fairly safe - such as lay the draw - while others can get much more complicated. The correct score market on Betfair, for example, has a total of 19 different outcomes from 0-0 to 3-3 and beyond. Actually, this is a perfect example of why exchange trading is so much better than almost any betting system. Imagine trying to hit one of those 19 correct scores spot on from kick-off to full-time. Go on, try predicting some correct scores on Saturday afternoon. It's really tough! With a betting exchange, however, we don't have to trade the entire 90 minutes. We can get in and out of the market at any time in-play, trade much smaller segments of football matches and reduce (some of) the random impact of goals, red cards and other events. Football trading - rather than betting - has been life-changing for so many people and we have the Betfair exchange to thank for that.